Our team of expert programmers can provide personalized development services for individuals or businesses looking to create and brand their own streaming channels or applications. Listed below are some of the most common custom development services, but we are experienced in handling unique requests such as Geo IP blocking, custom players and highly unique application requirements. Please feel free to contact us if you need something that you don't see listed below. One of our team members will get back to you and let you know how we can help. Our software developers have a wealth of experience in creating mobile and OTT/IPTV channels for Roku, Amazon Fire TV, Apple TV and Google TV platforms. We have created dozens of personalized channels for a variety of customers, including faith-based networks, science channels, travel channels, cooking channels, and many more. Just give us your input on what kind of features and design you want for the channel, and we'll develop and submit it for you. We also create customized applications for Apple's iOS and Android phones and tablets. We can develop these applications to seamlessly integrate our live streaming and on demand services. Please note that apps are subject to the approval of the stores to which they are submitted. While we take every step necessary to make sure they will not be rejected, we cannot guarantee the acceptance of every app. 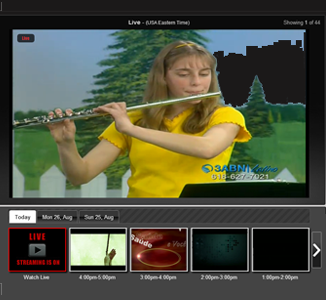 Multiple live channels and VOD content with custom categories, sub-categories, seanons and series. Adaptive bitrate HLS to ensure uninterrupted viewing. Account management system with username and password prompt to access content. Online DVR: records live streams and publishes them as VOD files sorted by the date and time they aired. 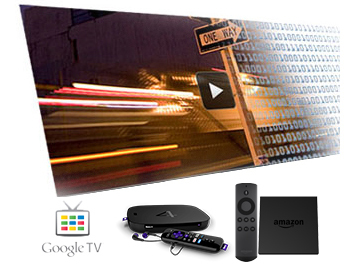 Search: users can search for specific channels and streams. Full branding and customization, including logo and design. Only one source needed to stream to all platforms.